At Agendize, we value your time and in order to help you be more productive, our Appointment Scheduling app has added a new feature this month to facilitate location management. 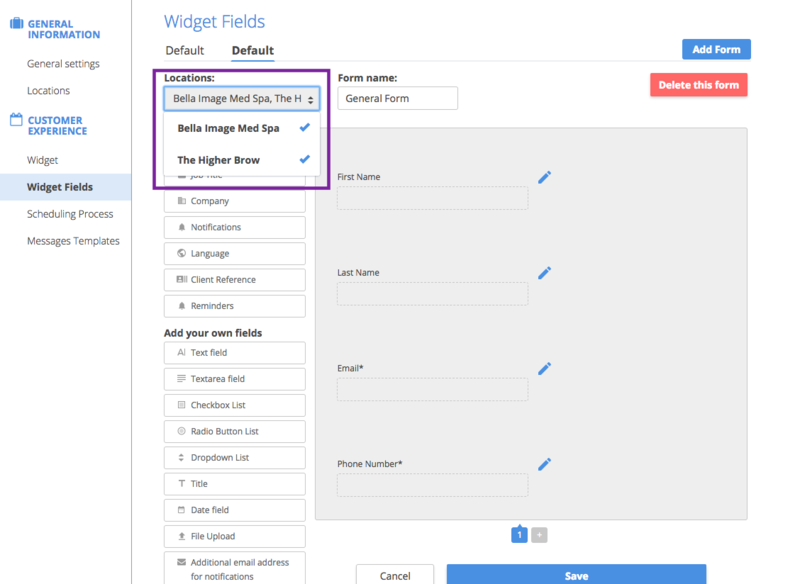 When customizing your scheduling app, you are able to modify the widget fields (as you can see in the image below), but now you can change from one location to another with only one click! It means you do not need to get into each location page to manage updates! We added a field with all your branches listed and from there you can choose in which place you want to add changes, like a new field. So easy! New integration alert! Agendize is now connected with the CRM PipeDrive, a sales management tool designed to help small sales teams manage intricate sales processes. If you are already a user of this platform, get in touch with us to connect it with Agendize!